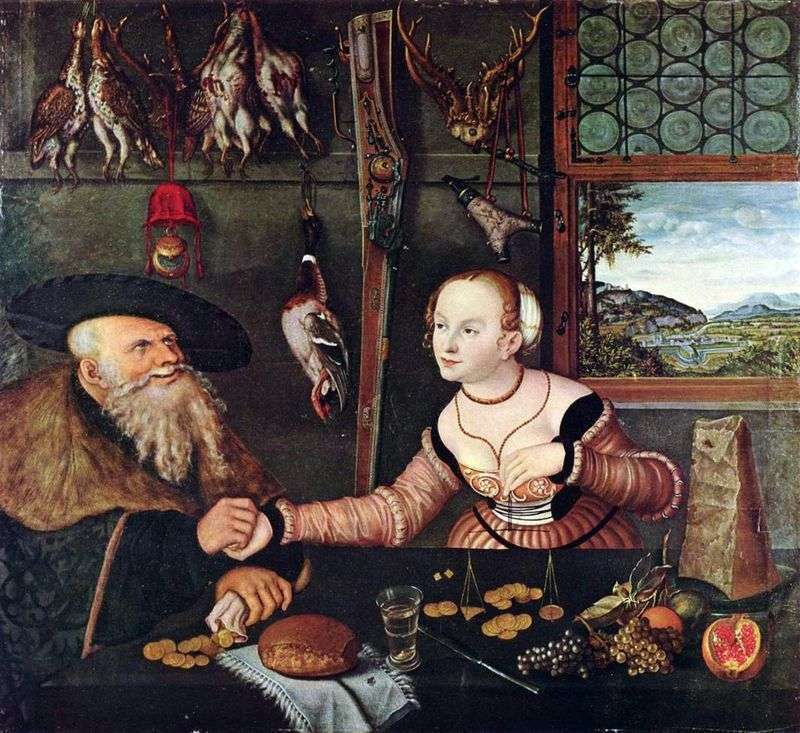 The painting “Mesalians” was created by the artist Lucas Cranach the Elder after the 30th year of the 16th century. It also has a different name “Payback”. The size of the board is 108 x 119 cm, wood, oil. In his picturesque and engraving works, Lucas Cranach tried not to depart from the requirements of the customers of the pictures – nobles and rich burghers. The main requirement of his own to his art was the purity and thoroughness of the work. This explains the fact that, having found certain types and schemes, the artist tirelessly repeated them, polishing a virtuosic, but stereotypical manner. So there was a type of a female face with narrow slanted eyes, a sharp chin and a sweet smile, so there were shapely, slightly lean figures with smooth movements. Description and meaning of the painting Mesalians by Lucas Cranach.